Ready for some mischief? In Beauty Cat Salon cute little cats are waiting to be groomed. But the naughty assistant has something different on her mind this time: help her mess up the styling and create some truly unique cat looks while her boss is distracted by the phone. Don't let the boss catch you or your career as a cat coiffeur is over! 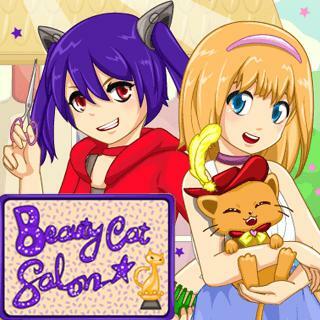 Beauty Cat Salon - Find Beauty Cat Salon in our vast HTML5 games catalogue. Only the best and newest HTML5 games for all audiences. Guaranteed success with Famobi.